Who Safeguards California Farm Employees’ Rights? 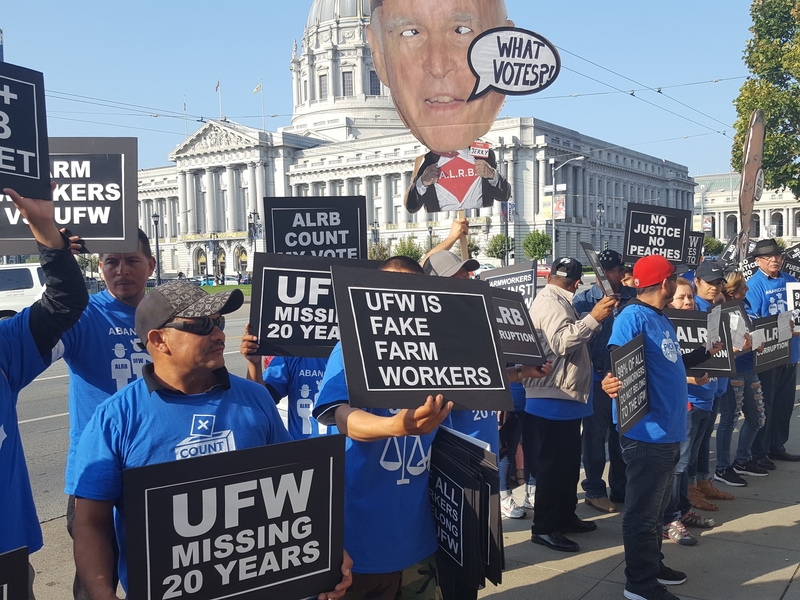 The California Supreme Court announced their decision on Nov. 27, 2017 in favor of forced UFW representation on Gerawan employees, thus mandating these workers pay three percent of their wages to the UFW or lose their jobs. As background, the UFW was elected to represent Gerawan employees in 1990, but never successfully represented them in contract negotiations. Subsequently, the UFW disappeared from this farm operation for nearly two decades, so 99% of current Gerawan employees never voted for union representation; many were born after 1990. In addition, Gerawan employees have reportedly been paid the highest wages in the industry. Below is the transcript (in English) of the message, which was recorded in Spanish, that all Gerawan employees heard when they called in on Nov. 27, 2017 to hear their work schedules. Hi, this is Dan Gerawan. Unfortunately, the California Supreme Court today decided to overturn the lower court that had said you should have the right to choose whether a contract is forced on you. Instead, the California Supreme Court agreed with UFW and ALRB that you should not have the right to choose, even though you have to pay UFW. Fortunately, today’s decision does not strip your right to decide whether the UFW can represent you. The majority of you asked for the right to make that decision, and the ALRB held a decertification election over four years ago. Nothing in today’s court decision prevents your ballots from being counted. As you may know, the California Fifth District Court of Appeal is still going to decide whether your votes from the November 2013 election will be counted. You are entitled to the same dignity and respect that all other workers in our state and country have, which is the right to choose who represents you. As for today’s decision, we intend to ask the United States Supreme Court to review it.